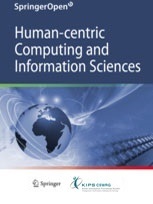 The goal of this interdisciplinary journal defining and reporting on the challenging issues is to bring together researchers from academia and industry as well as practitioners to share ideas, problems and solutions relating to the multifaceted aspects of Human-centric Computing technology and Information Sciences (HCIS) with its convergence strategies, and to disseminate the most innovative researches and developments of all aspects of human-centric computing and research challenges in the information science including their models, services, and novel applications associated with their utilization. Human-centric computing is to create novel solutions so that the humans are always connected, portable, and available. As with pervasive-computing, human-centric computing requires a variety of devices, however, such devices exist simply to obtain inputs from the human and are embedded in objects that humans interact with on a daily basis. Moreover, during the past couple of decades, Information Science technologies influenced and changed every aspect of our lives and our cultures. Without various Information Science technology-based applications, it would be difficult to keep information stored securely, to process information efficiently, and to communicate conveniently. It is apparent that Information Sciences will not only continue playing a very important role in convergence of computing, communication, and all other computational sciences and application but also will influence the future's roadmap in areas, including, science, engineering, industry, business, law, politics, culture, and medicine. The future impact of Information Sciences in these areas cannot be overestimated. In the journal, we plan to publish high quality papers, which cover the various theories and practical applications for HCIS. The published papers are expected to present important results of significant value to solve the application services and various problems in within the scope of HCIS. In addition, we expect they will trigger further related research and technology improvements for our future lives. - Applications with Image Processing, Computer Vision Systems, Language and Search Engine Design, etc. which are the current hot topics satisfying the world-wide ever-changing needs. And we are planning to include new emerging topics to the journal scope approximately 5 or 10 years later in order to make the journal reflecting real future generation information technology of Human-centric Computing and Information Sciences.